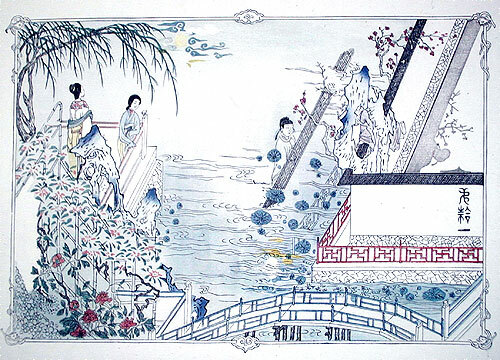 Hu Cheng Yen (1582? - 1672?) was a Government official, writer, seal cutter, painter and printmaker. 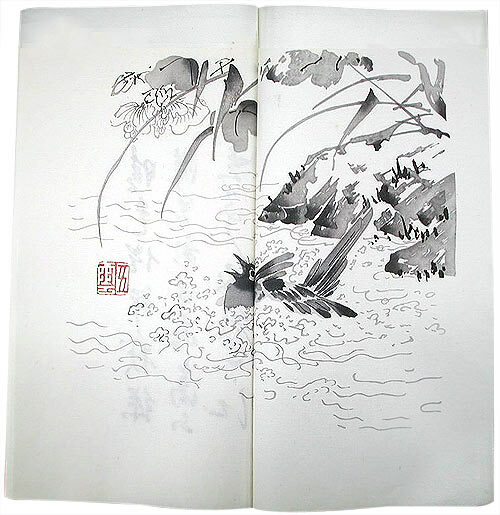 He was born at Hsiu-ning, but spent many years of his life at Nanjing and worked in his "ten bamboo studio", which he named after the bamboo growing in front of his room, he liked a lot. After intensive studies of characters, he started to cut seal and to design ornament letter paper. 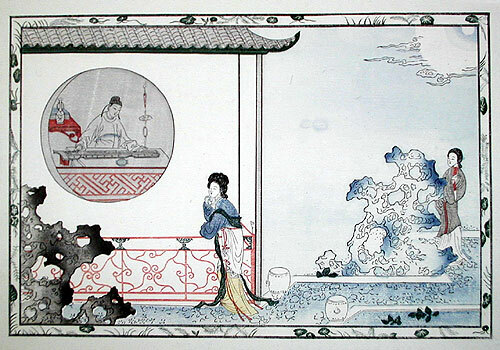 He also made multicolour woodblock prints from his and his friends paintings, which he often gave to friends. 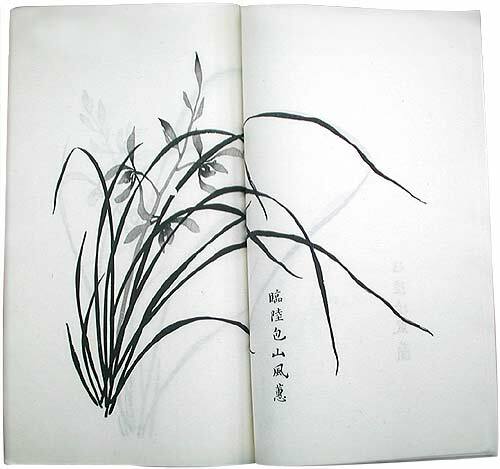 These were so popular, that he published a collection of these woodblock prints in the " Ten Bamboo Studio Collection" with 16 volumes. 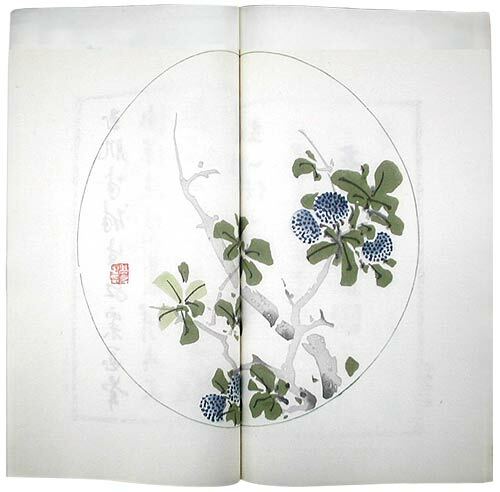 This collection, published 1622 - 1627, includes woodblock prints in eight groups of themes of two volumes, which are followed by an matching poem. The collection was directed to friends of the arts of painting, poetry and writing. 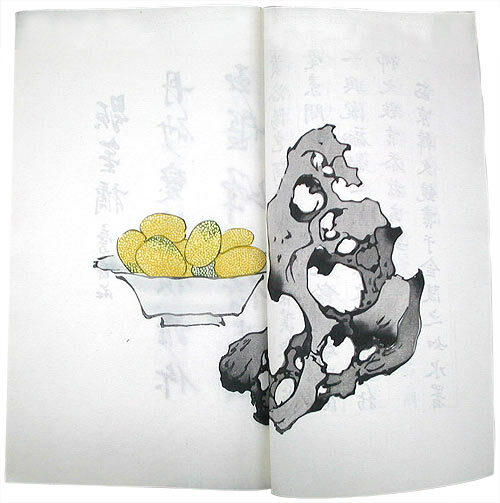 Two volumes contain painting instructions. 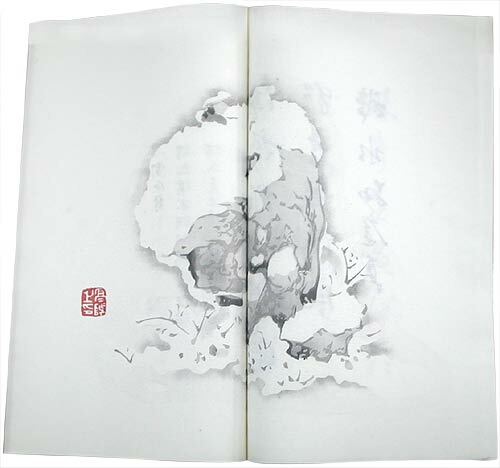 Hu Cheng Yen also published a collection of ornament letter paper. 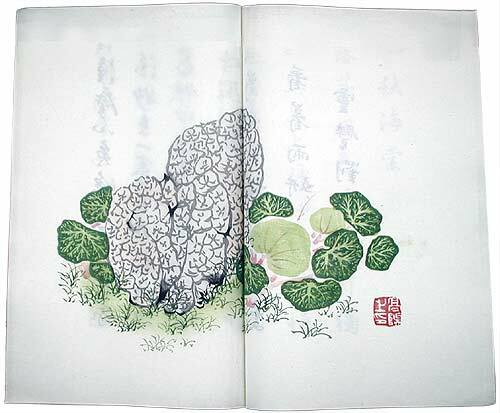 The prints shown here were copied from the "The Ten Bamboo Studio Collection" by Mr. and Mrs. Lu Qinghua from Shanghai. 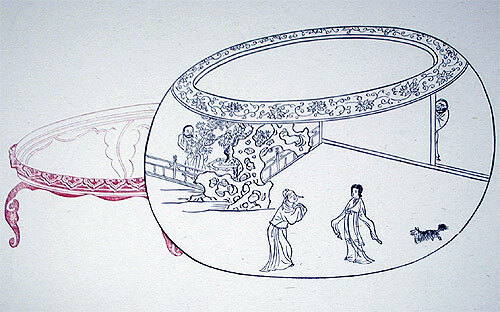 "The Story of the West Chamber", a love story from the beginning of the 9th century, was since then interpreted many times in fine arts, literature and on stage. 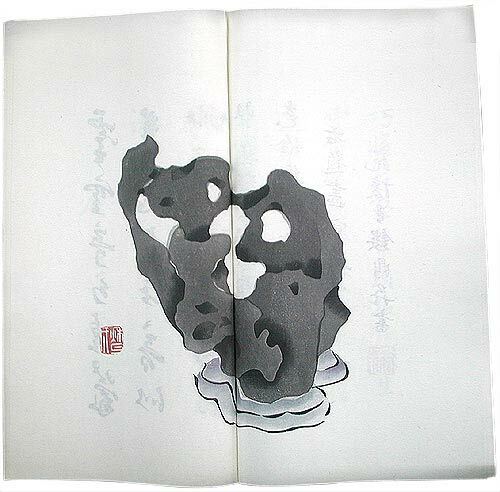 Min Qiji (1580 - 1661) was the first who worked them up as a multicolour woodblock printing book (ca. 1640). 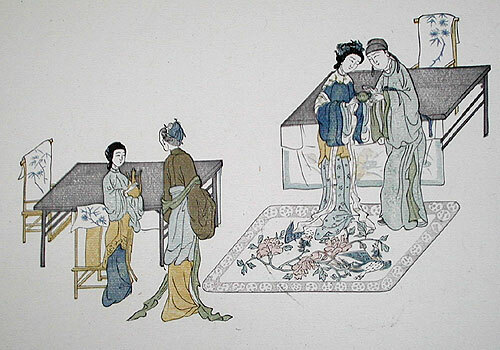 The prints shown here were copied from "The Story of the West Chamber" by Mr. and Mrs. Lu Qinghua from Shanghai.